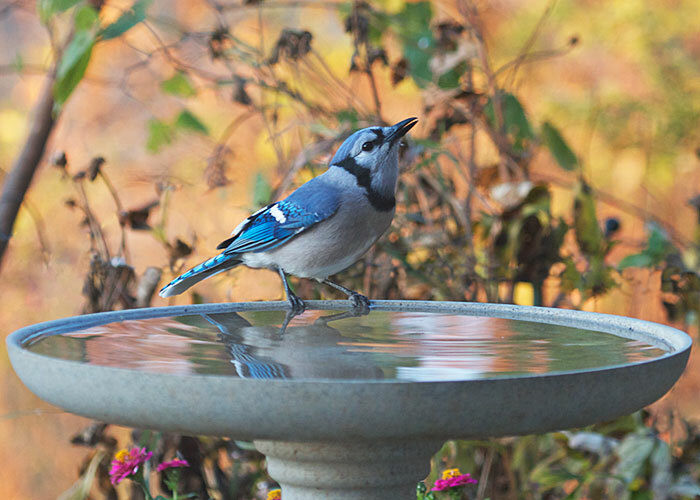 Blue jay pauses for a last sip of summer. The bath is the Kozy Spa. This one is the heated version, and soon we'll be plugging it in to keep it unfrozen all winter. 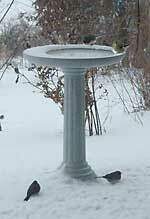 If you live in a cold-winter state, this is the birdbath to have. There's also an unheated version, if your winter is frost free. The Eagle Optics Energy 8x21 is great for theater, gifts, kids, or an extra binocular for the car. But instead of the usual $49.95, the green Energy is now only $34.95. Get the whole family or bird club behind binoculars! Free shipping on 4 or more.